Any film in the Star Wars universe has the undeniable power to turn its cast into stars in an instant. When The Force Awakens' two relatively unknown stars , Daisy Ridley and John Boyega, were cast, they immediately became subject to the whims of the rabid Star Wars fan base. Naturally, what comes along with this newfound stardom are questions about their private lives and the newest cast members are prone to this the most. Rogue One features a strapping, blind martial arts fighter, Chirrut Îmwe, played by actor Donnie Yen. 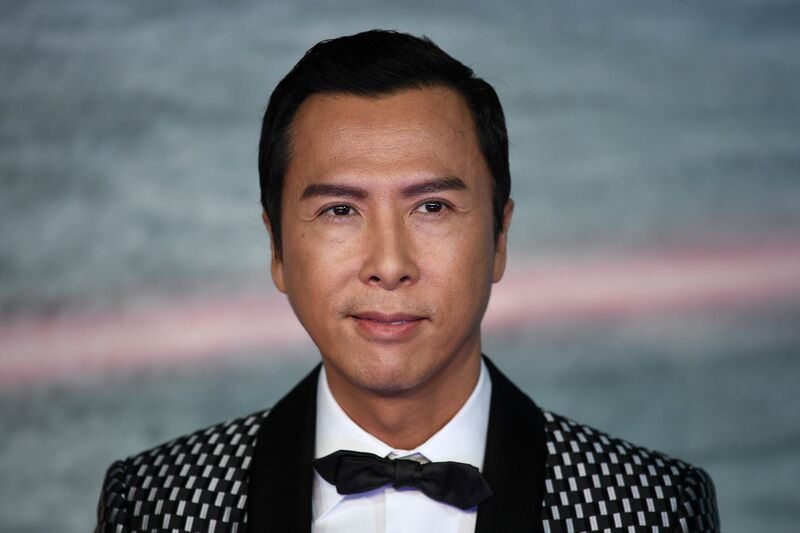 But, is Donnie Yen single? I have a feeling many inquiring fans will want to know. While Yen is still somewhat unknown stateside, many martial arts fans probably recognize the Hong Kong actor as helping popularize the style known as Wing Chun. According to a profile in People, Yen is a well-known action star, but being cast in the Star Wars franchise is a dream come true. “Harrison Ford, Han Solo, Luke Skywalker, just every character, they are so memorable... So it is such an amazing journey for myself to be able to be part of this universe,” he said. And while he is going on this wild journey, Yen has his wife, Cissy Wang, by his side. "I wasn't too aware of his background actually because I don't watch a lot of films, especially Chinese films, since I grew up in Toronto. But I just felt like, wow, this guy is really honest. So even though we dated for a short time before he proposed, I just knew it was right because I felt like I wanted to see him every day." So very cute. According to Straits Times, the couple dated for only three months before they got married, and now, they have two children, James and Jasmine. On her Instagram, Wang has documented being by her husband's side while he travels the world promoting Rogue One, and it is lovely to see her be so supportive. Yen is about to reach a whole new level of global stardom, and it's great to know that he's got a strong and loving family foundation that will be there to stand by him on this wild Star Wars ride.